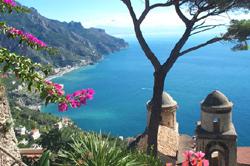 The Amalfi Drive is considered one of the most spectacular roads in Europe and from Sorrento the winding cliff top road offers breathtaking panoramic views from every bend. An English-speaking driver with a Mercedes (or a similar make) vehicle - with air conditioning - and a professional guide pick You up by Your hotel. After a first stretch of the drive, all along this enchanting road that seems to be suspended in air, Positano is reached. Short-Stop to admire that beautiful village from a panoramic terrace. 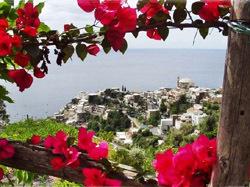 Then we proceed to Positano: 1 hour of free time there. 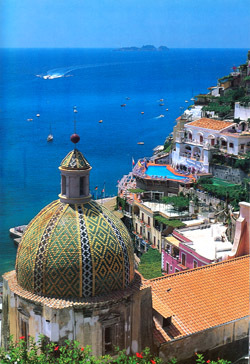 After that we continue for Amalfi. This town, now a thriving holiday resort, was once a powerful and prosperous Maritime Republic, and homeland of Flavio Gioia, the inventor of the compass. 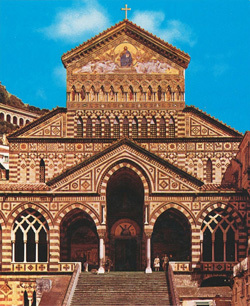 The beautiful cathedral, with its richly decorated façade, stands at the top of steps leading up from the main square, and houses the remains of the patron saint of Amalfi, Saint Andrew. There is free time for lunch. After the visit of the town the drive proceeds for Ravello, where the medieval centre and Villa Rufolo will make the visitors step back into the glorious past of this magnificent little village. Villa Rufolo is famous also because it gave the musician Richard Wagner the inspiration to create one of his most well-known operas, Parsifal. Nowadays every year classical concerts take place.